The in-house brand is a stylish waterproof coverall built for biking the soggy streets. For more than a decade, ad agencies have extolled the virtues of creating in-house brands, with mixed reviews and variations of success. 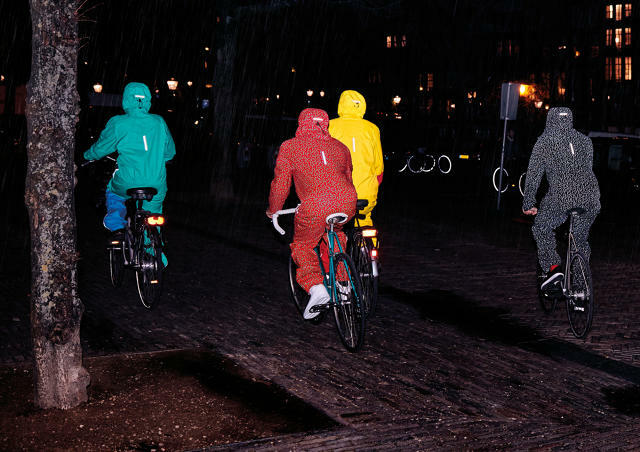 The latest example of this entrepreneurial spirit is a new rainwear brand out of 72andSunny Amsterdam called Raynsie. Raynsie is a cheeky combination or “rain” and onesie,” which also doubles as a product description. This unique take on rain gear combines the functionality of a coverall (shout out to Bottle Rocket) with performance design and streetwear style. Available in six colors, a number of which pay homage to a Dutch delicacy known as hagelslag (look it up). The collection will be sold exclusively online starting in late November at Raynsie.com.